Given the mad times we live in, with social media taking over our lunch break and sabotaging our real-life connections (that’s another topic altogether), it is not a surprise that people are much more selective as to where and what they spend their time on. An online community must have a clear purpose and direction in order to service its members and more importantly, to stay relevant and alive in the sea of options and social platforms out there. The users/members need to get at least one of the following benefits in order to come back to the community: a) a clear sense of belonging, b)mutual support c) greater influence and/or d) a chance to explore things they find interesting. If you’re in the business of establishing and growing your own online community, kudos to you! These are epic times to do so and you can most definitely success if you keep the following tips in mind. Here are 6 Key components to ensure people engage with your community and keep coming back over and over and over and over (and over and over) again. ??? As mentioned, there’s a sea of options out there these days. If you aren’t registering for your target audience, well – then you won’t be given the time of day. Step 1 in ensuring higher engagement in your community is for people to actually KNOW that it exists. You need to raise awareness. Attend events. Interview experts, setting yourself as the channel through which others can learn from, leveraging on people who already have a name out there. 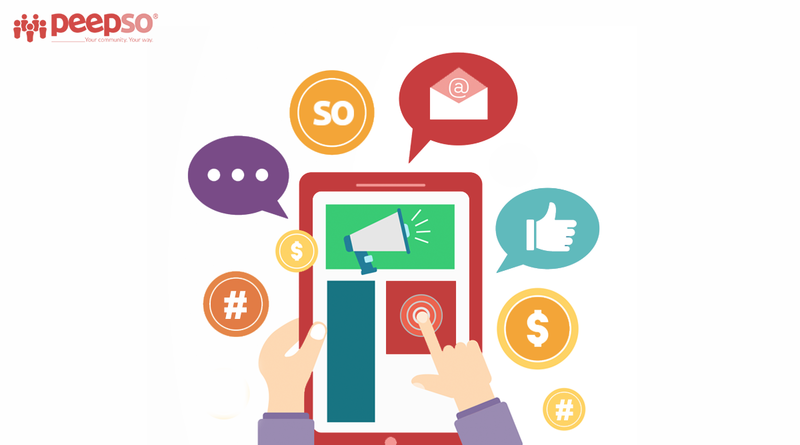 A common misconception is that investing large sums of money on ads will guarantee you traffic to your community/site. And while it does increase chances of higher traffic, it does not mean that people will register to join you tribe, nor be willing to stay. And there goes – money down the drain. You just made Facebook and Google (ads) a little richer. ? Ask yourself if the content you’re producing is rather “generic” or is it highly curated content that is cutting-edge and a total wowzer that aggregates value to your readers/members. So, for example, if you have a Blogpost integration within your community and you’re publishing an article, rather than post “How to lose weight easily” go for something way more specific like “How to lose 10 kilos in 8 weeks after your third child”. That’s bound for greater success as it speaks to a very targeted audience and it has metrics for measuring the success of such plan/strategy. You want to have epic, well-curated content, along with great SEO so you can improve your ranking and therefore have higher chances of visibility – or in this case, being heard. Define your niche market. If you get people’s attention, and then you have something juicy to say, would you start selling diapers to carpenters? ? Most definitely NOT. Such is the case in setting up for success with creating your online community. You must understand you niche market and then cater to that which you offer. The more specific you are, the better. This is what Russell Brunson, king of all-known ClickFunnels calls the Blue Ocean Strategy. Instead of competing with an ocean of shark-infested competitors, you find your USP (Unique Selling Point) and open a beautiful and calm Blue Ocean to start welcoming a more targeted audience, providing a creative and unique solution to a very specific problem. Yellow Tail, Cirque du Soleil and Nintendo Wii are 3 examples of Blue Ocean Strategy. Your community will be all that more relevant to your members if it does not try to compete with the big sharks out there, but rather proposes something new and different. This is the “I’m the expert at this and here’s why.” stage. Be authentic.Use your voice. People can smell fake from miles away. At PeepSo, we strongly believe in the power of community. We have even created our own After Hours Group where our team and community members can post about their hobbies, lives and struggles and anything unrelated to work. We like our customers to see our human side as well. Of course we love what we do, but we are so much more than developers, designers and engineers. We practice yoga. We ride motorbikes. We are foodies too! We go on adventures and travel and spend time with our loved ones! This is the: “Truly, this is how I feel” piece of the formula. People are more likely to connect where the environment feels authentic. A great example is a PeepSo-powered community called My Disability Matters, where people with various disabilities come together to share their fears, joys, struggles and happenings. They choose PeepSo over other platforms as it gives them a greater sense of privacy and safety to open up to sharing authentically. Ask questions to keep people engaged and ensure you’re covering their needs. This is where you ask, “What else would you like to know?” As the community leader/moderator, you want to gage the level of interest that your community is generating amongst its users. If you are able to systematically deliver and cater to the needs of your users as your community evolves, the higher the chances that people will continue to find value in it and keep coming back to comment, express and share their thoughts. So asking is a great way to stay on course. This goes as much for content as for user experience within your platform. If users are finding it hard to navigate your site, or if features are broken, then they are more likely to not come back. However, if you can guarantee a quality UX (user experience), then they’ll fall in love with your platform and becoming your raging fans. Remember a community is made up of the sum of all the parts. Listen to your people. Deliver. And you’re well on your way to creating (and maintaining) a successful online community. Ain’t nobody likes a conversation hog. That’s the beauty of #community. No one person owns the stage. User Generated Content Campaigns are epic in keeping your community alive, fresh and showcasing variety. Assign ambassadors or group managers to be the spokesmen/women of your tribe – to keep moving people, ideas, keeping it vibrant. This is the “Here’s what others have to say” aspect of building an epic and successful online community. So, there you have it! 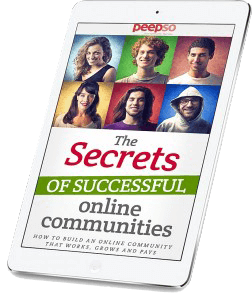 That’s our 5 Key components to creating a successful online community. Above all, have fun with it. It is after all (or should be) something that grows out of your passion for what you believe in and a great way to offer something of value in this world. Do you have any tips/hacks to scaling your online community? Please share them in comments! We’re happy to share the stage with you. And if you’d like to connect with us here at PeepSo, join our vibrant community. kovin albert thanks for reading!